Homeowners Against Deficient Dwellings (“HADD”)(www.hadd.org) is a consumer protection group for homeowners and homebuyers that advocates on behalf of homeowners against defective construction. 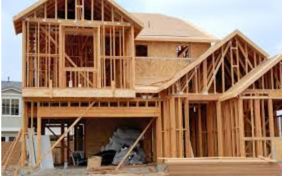 In their effort to protect homeowners the organization developed a Homeowner’s Bill of Rights that details what consumers should be able to expect from a builder or contractor. HADD also proposes legislation, such as a New Home Disclosure Act, a Home Lemon Act. It also sets standards for litigation, such as preventing confidentiality agreements in settlements and prohibition of arbitration. The Homeowner’s Bill of Rights sets forth the expectations each homeowner should be entitled to from a builder and the protections they deserve from the government as consumers of new homes. The full Homeowner’s Bill of Rights includes a statement of rights and advocates for protective legislation. The following is a summary of HADD’s Homeowner’s Bill of Rights. To read the full Homeowner’s Bill of Rights, link to www.hadd.org. They have the right to safe and sound, quality construction. They have the right to expect that their new home and/or any home improvements are built in compliance with all existing local, state, and federal building codes and ordinances. They have the right to expect that only quality, performance-proven building products are used in their homes and that all such products are installed in accordance with manufacturers’ specifications. They have the right to expect that the architect’s and engineer’s designs are completely and accurately followed. 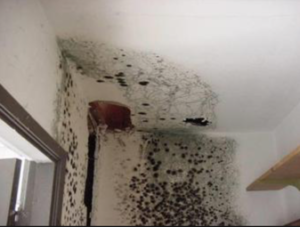 They have the right to expect that the home will not leak or breed toxic mold(s), is structurally sound, and that all mechanical systems and structural components will perform properly. They have the right to receive, in a timely manner prior to signing a sales contract and/or closing documents, complete information regarding their purchase contracts, warranties, disclosures of agencies, and any and all relationships and/or partnerships their real estate broker and/or builder may have with all agencies involved with the home buying process. This includes, but is not limited to: home inspectors, lenders, title companies, builders’/subcontractors’ insurance carriers, products’ manufacturers, realtors, and home warranty companies. They have the right to access records, public and private, regarding performance and complaints pertaining to their builder, subcontractors, home warranty companies, lenders, manufacturers, realtors, title companies, insurance carriers, and any other entity associated with the home building/home buying process. They have the right to full disclosures in regard to new housing. They have the right to a trial conducted by their peers, rather than to be forced into contractual binding arbitration. If you believe your home suffers from a construction defect, contact an attorney with experience in construction-defect litigation. Not every defect will warrant the time and expense of pursuing a claim, and often the time limits (statute of limitations) will prevent a homeowner from pursuing a claim. To protect your rights, contact an attorney who can help you evaluate how your state’s laws apply to the particular circumstances of your situation.